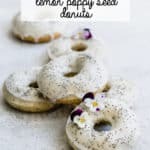 These gluten-free and vegan lemon poppy seed donuts are a delicious dessert that’s loaded with lemony flavour and baked to perfection. 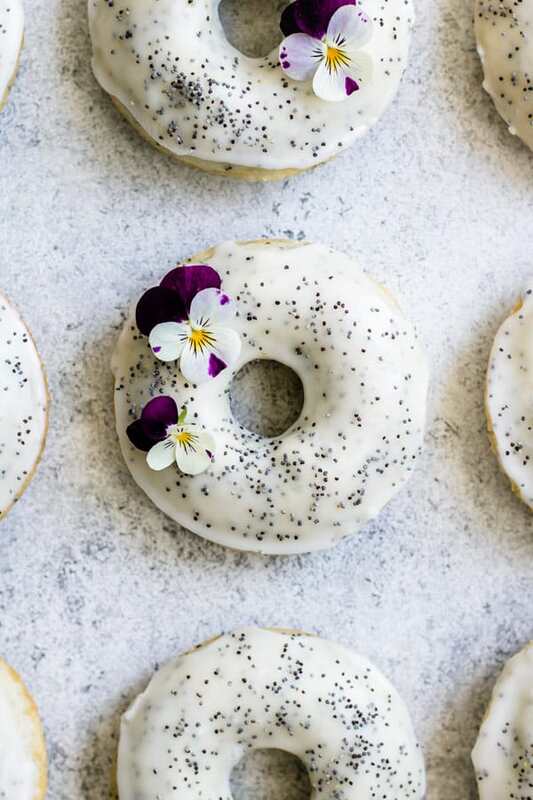 These donuts then get topped with a sweet lemon poppy seed glaze for a healthy treat! What better way to kick off a new week than with donuts? 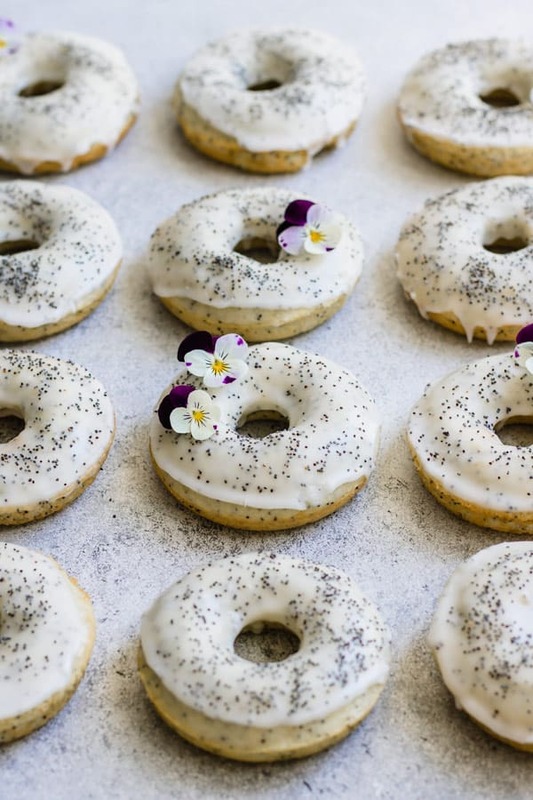 And not just any donuts…gluten-free and vegan lemon poppy seed donuts. Yup. Pretty much the best possible way to kick off a Monday, right? I can’t believe it’s already June. I honestly don’t know where time is going but I’ve got a pretty busy month ahead of me! June marks one month until I move into my new apartment, and there is just so much to do before the move! I’m currently shopping for all new kitchen gear to set up the perfect kitchen/work studio in the new space. So far I’ve been loving sourcing some homeware products from target, h&m home and Wayfair. I’ve had such great luck finding some amazing pieces for my kitchen so far. Now I’m on the hunt for some flatware and dinnerware. 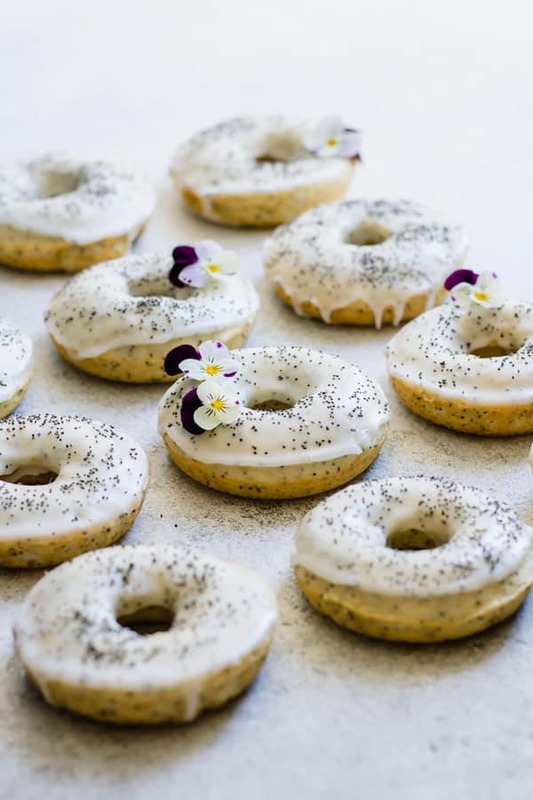 These vegan lemon poppy seed donuts are filled with vibrant lemon flavour and of course, plenty of poppy seeds. These donuts are pretty healthy too. Though they still have sugar in them, they’re low in fat, baked instead of fried and made gluten-free. If you’re looking to really reduce your sugar intake, you can replace the cane sugar in the recipe with stevia or xylitol. You can also substitute regular flour for the gluten-free flour blend if you prefer. I use this donut pan, but if you don’t have/don’t want to buy a donut pan, you can fill these into little muffins tins instead. These donuts store well in an air tight container for a couple of days, though they’re best enjoyed right away so they don’t dry out! Say hello to your new favourite treat! 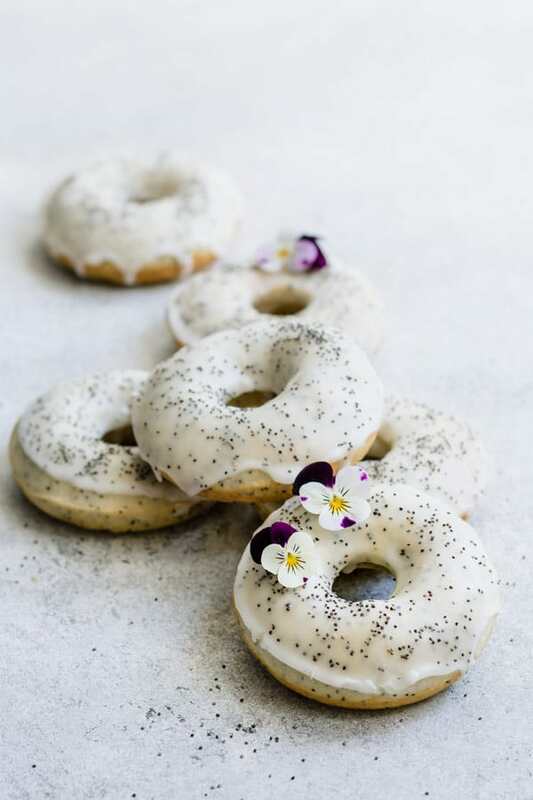 These baked donuts are loaded with lemon and poppy seed flavour and baked to perfection! In a bowl, mix together the flour, cane sugar, baking powder, baking soda, salt, lemon zest and poppy seeds. In a separate bowl, mix together the almond milk, lemon juice, coconut oil and vanilla extract. Pour the wet ingredients into the dry and mix together just until combined. Do not overmix. Spoon the batter into a piping bag, or a large ziplock bag and cut a hole in the corner. Spray your donut pan with some cooking spray, and then pipe the batter into the pan. Bake for 10-12 minutes, or until a toothpick comes out clean. To make the icing, mix the powdered sugar, almond milk, lemon juice, vanilla, lemon zest and poppy seeds together until combined. Once the donuts are cooled, dip them into the icing. Let sit for 30 minutes for the icing to set. Some gluten-free flours don’t have xantham gum already added to them, which will help the donuts rise. If your blend doesn’t have it, add 1/4 tsp xantham gum to the recipe. May I ask if I can also use coconut sugar instead of the cane one? Amazing, delicious and easy recipe! Who wouldn’t like a healthy donut recipe?!??? 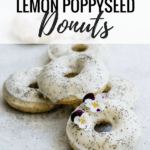 The lemon and poppy seeds go so well together and it was a hit with everyone I shared it with! The BEST donuts EVER! I’ve eaten gluten free, dairy free donuts from the ‘major donut places’ but these are by far the best. I make them probably too often but they are seriously amazing. Soft, moist, refreshing ? Theese are my absolute favourite dear! 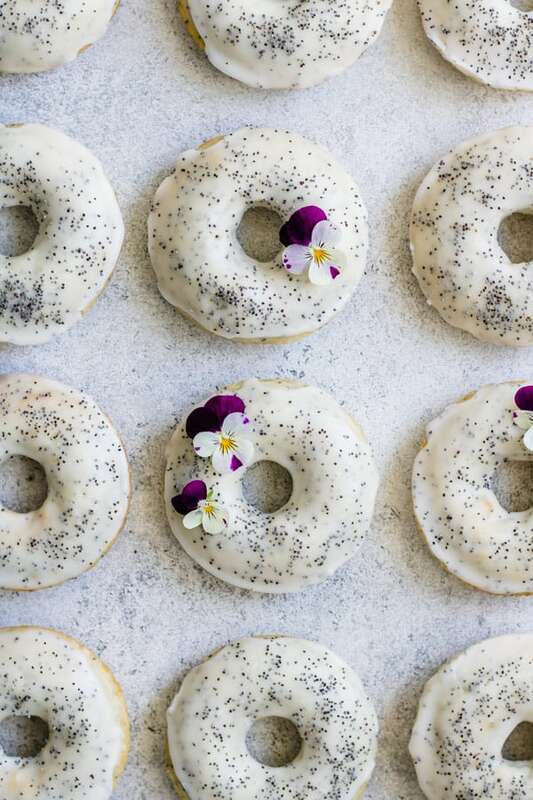 Lemon and poppy seed amd donuts, thats just the best combo ever ? 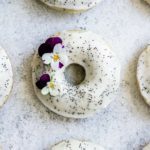 Will these donuts will work with bobs mill 1to 1 gf baking flour? They look very tempting. Will be making them soon. Thanks much for creating these recipes! !